What sort of website is it? 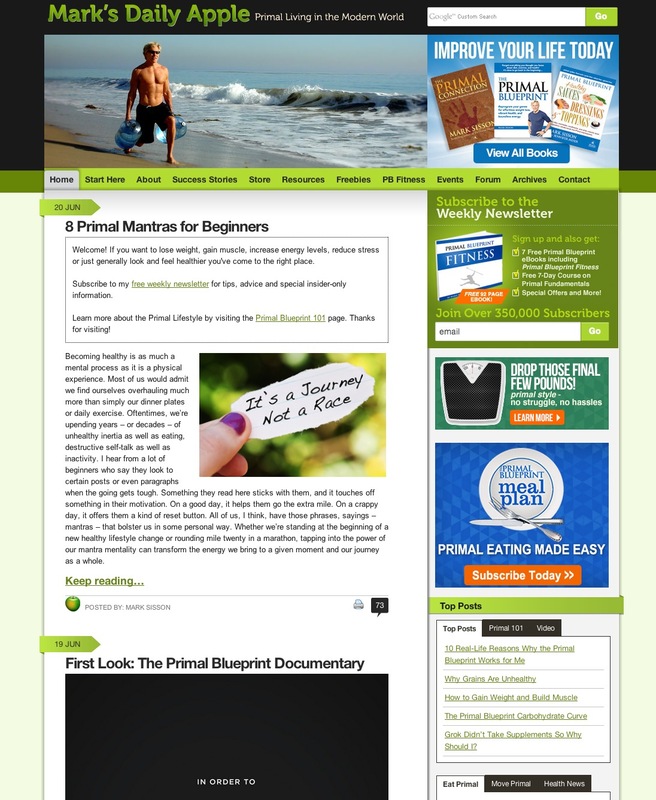 It is a health and lifestyle website, focusing on the Primal and Paleo health movements. It is a combination of a blog and traditional website. Simple colour palette; the black and beige works well. Some confusion getting back to the homepage once left. I think the Marks Daily Apple site does well at being authoritative and friendly and casual at the same time. It is a natural health and wellbeing website. It features scientific and lifestyle articles and news. Bit too clinical and boring. 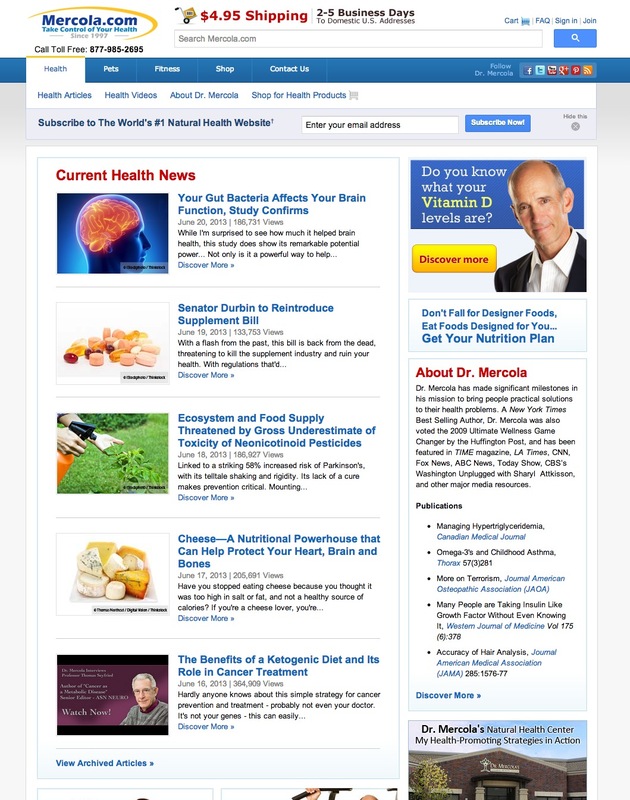 I think the Dr Mercola site serves its purpose well of being a medical and health resource. It is a small record label website. Simple navigation system, with a small menu of links at the top. Changing image box adds some vibrancy and movement. 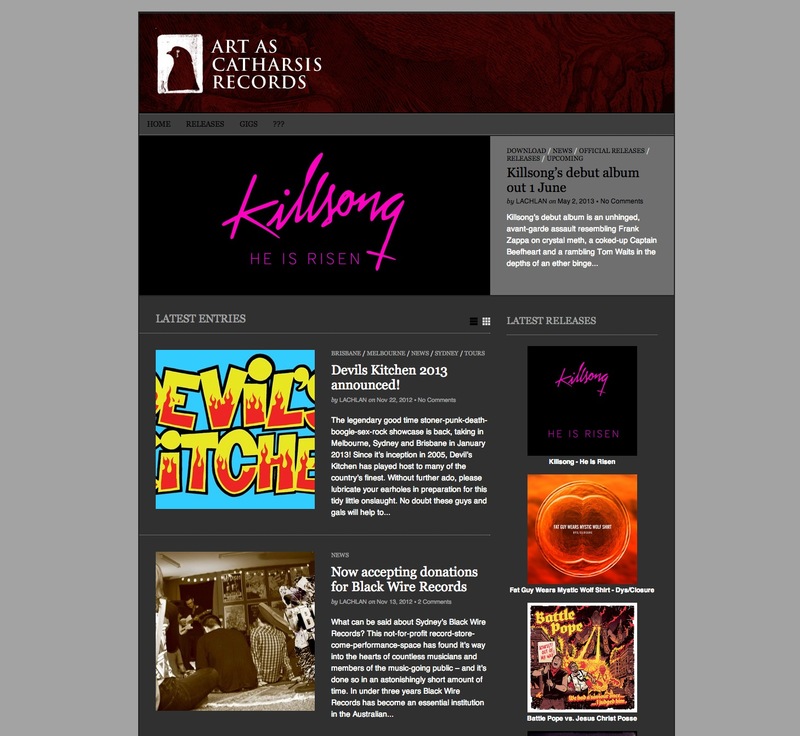 The Art as Catharsis Records site works well as an introduction to their signed artists and what they do as a label.